4) After restarting your phone, it should automatically prompt you to enter an sim network unlock PIN. Please enter the code received from your carrier. * Entering an incorrect unlock code may lock you out of your device. Enjoy your unlocked phone and reach out to us if you have any questions or comments! Are you feeling trapped on the phone network your carrier or are you interested in moving your iPhone to a different network? If yes, then you don’t have to worry anymore since it is possible to unlock your device and use it with a different simcard. Unlocked devices can be used with different carriers. Most of the latest versions can be unlocked easily once they get locked by the network provider. This means that their users don’t have to stick with their network providers forever. 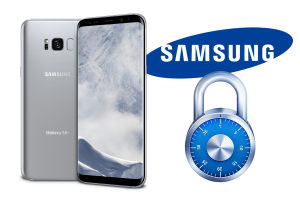 Some of the network providers offer this service for free, but there are many proven ways of unlocking your device even without contacting the original provider. This post is going to share the useful tips that can help you in unlocking your iPhone. You can do this by using third service providers or through unlock codes. Also, you can go here by get in contact with an online company that offer these services such as the Canada Unlocking company. This is one of the best unlocking companies in Canada, US, Australia, UK, Mexico and Spain. This company is known for offering fast, safe and efficient services.